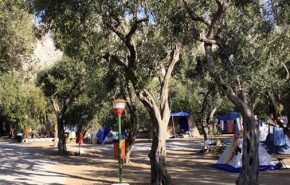 A bike-friendly camping site within easy reach by bike from Palermo Airport. Enjoy days on the beach of Isola delle Femmine and explore the fascinating area of north Sicily by bike. 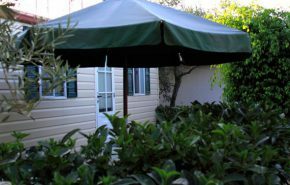 A nice beachside camping site set halfway between Palermo airport and the island’s capital. Enjoy amazing views of the blue sea across the street and watch the sun disappear behind the tiny islet of Isola delle Femmine while you take an evening bath. The nearest airport is Palermo (approx. 20 km, around an hour by bike on flat terrain). There is no luggage deposit for your bike box but we arrange a pick up service at the airport for you and your bike. The nearest railway station is Isola delle Femmine at around 1 km from the camping site (check the timetable on www.trenitalia.com as the train link is interrupted due to construction works as of January 2018 and the alternative bus service does not carry bicycles). The local public bus line AMAT connects Palermo to Isola delle Femmine (no luggage compartment). The nearest ferry port is Palermo (approx. 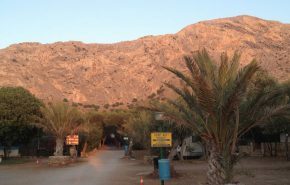 20 km). Connections from/to Naples, Civitavecchia (near Rome), Genoa and the minor island Ustica off Sicily’s north coast.